Mark and I spent Presidents Day weekend working on Projects around the house. For Mark that meant a lot of work on the new bumper for the truck getting it ready for his road trip with Josh, for me it meant finishing the nursery and getting all the baby “stuff” organized. We did have some fun first though with game night at Bob and Michelle’s. Saturday Mark and I visited Great Wall Mall in Kent and had a blast shopping at the Asian market. Saw some very interesting things, and came home with some interesting things as well. 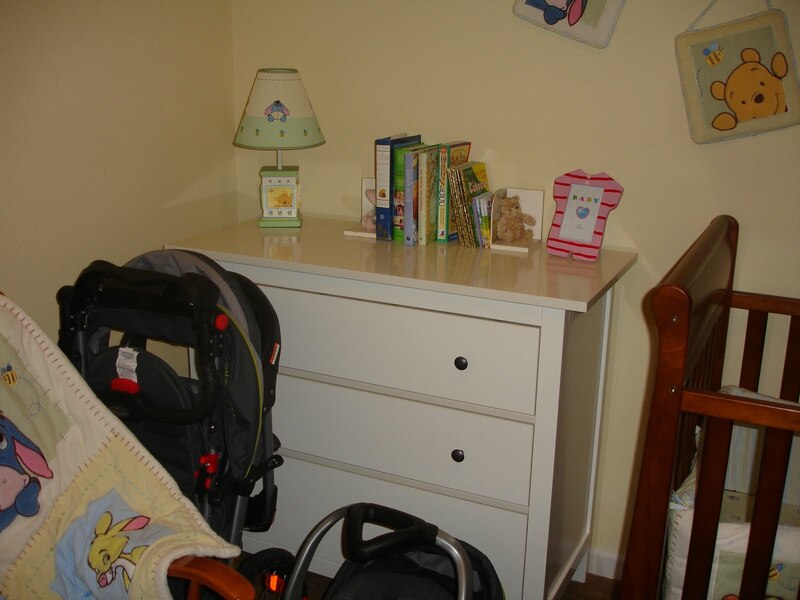 Then we were off to IKEA for a dresser for the nursery and a storage unit for my bathroom. My bathroom is very small with very little storage, but because it is the bathroom closest to the nursery it will end up being the “baby” bathroom, so I needed to make room for baby stuff! IKEA was crazy busy, but as always we had a good time and just took our time making our way through the crowds. 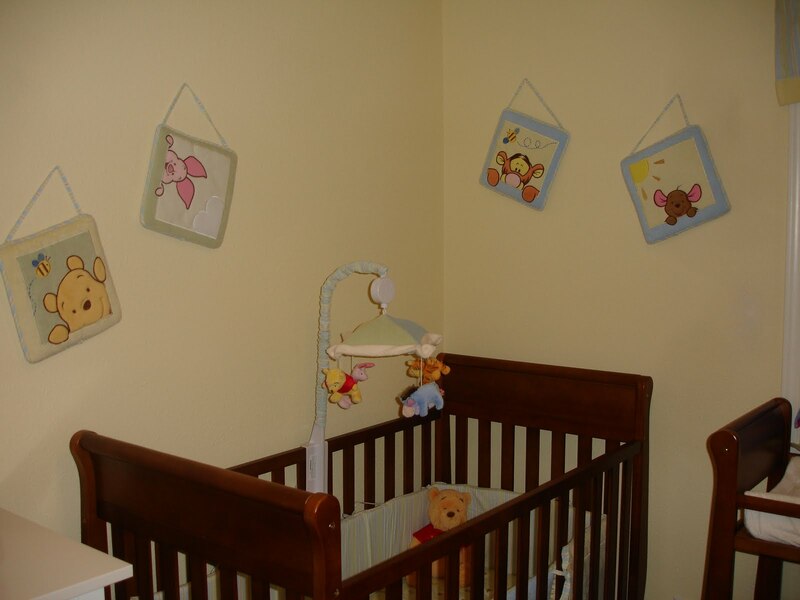 Nursery pics are below…some are old news, but there is a complete picture now as it is finally finished all the way. 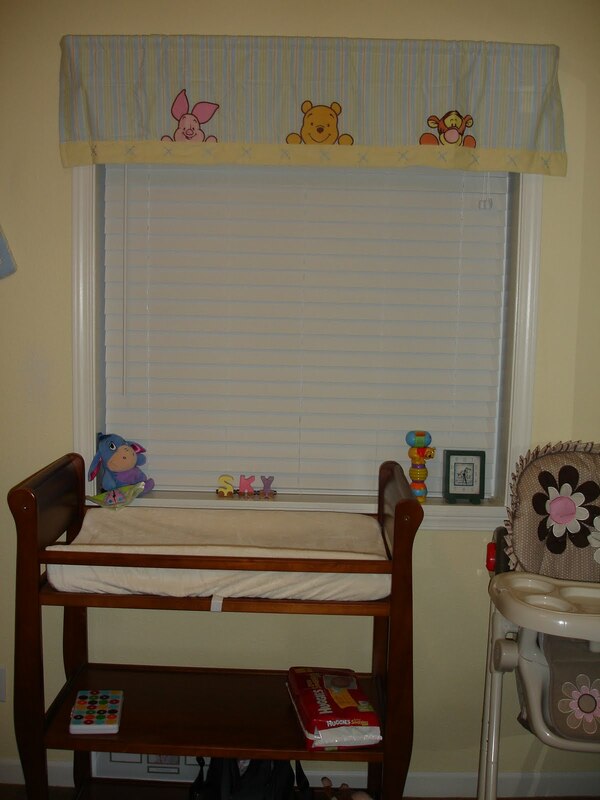 We finally hung the valance and it really was the perfect finishing touch for the room! I didn’t think we would need a dresser as there is shelving in the closet, but there are so many little baby things, and we have been given SO MANY cloths that we decided having the extra space and being able to put cloths in drawers would be way easier than having to hang them all…plus I’m out of room in the closet anyway. I was pretty proud of myself as I put the dresser together, with a little help from Mark here and there. Oh, I also finally put the stroller together and made sure we know how to attach the car seat to it and open and fold it. I did that all by myself! This is just one side of the closet…the other side is just as full. My system or organization is that the clothes that fit now are all in the dresser and as Sky outgrows them I will move them out of the dresser and move new sizes from the closet to the dresser. 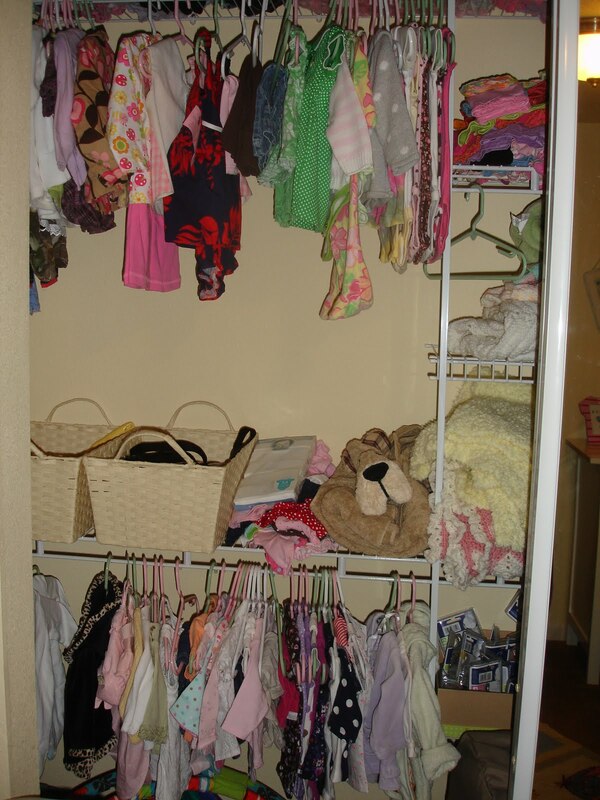 All the cloths in the closet are hanging according to size, so it will be easy to start moving up in sizes. Part of the desire to use the dresser was so that I could use Michelle’s way of organizing cloths and that is to fold the shirt, pants, hat or whatever else go with an outfit all together, so that when anyone needs to dress Sky you just grab a bundle of clothes and the whole outfit is there. Makes it supper easy for Mark, grandparents, babysitters etc. 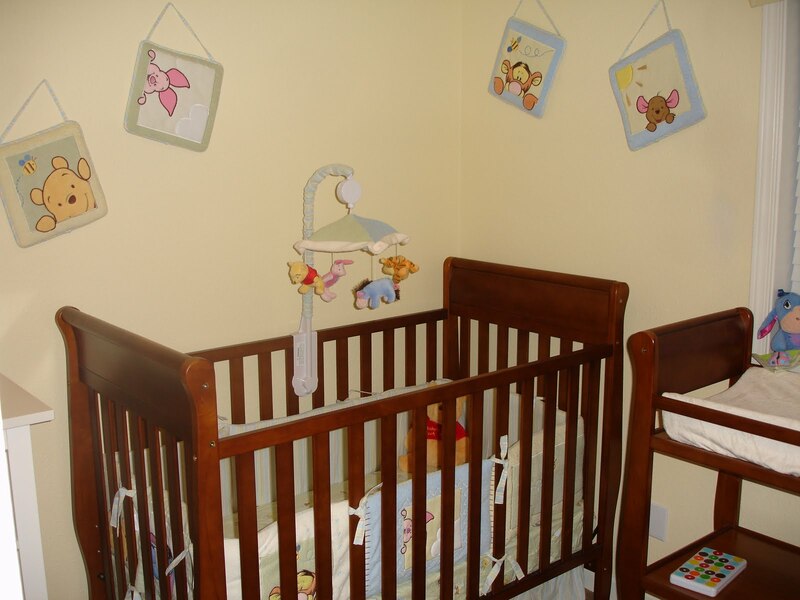 Crib and cute wall decorations. 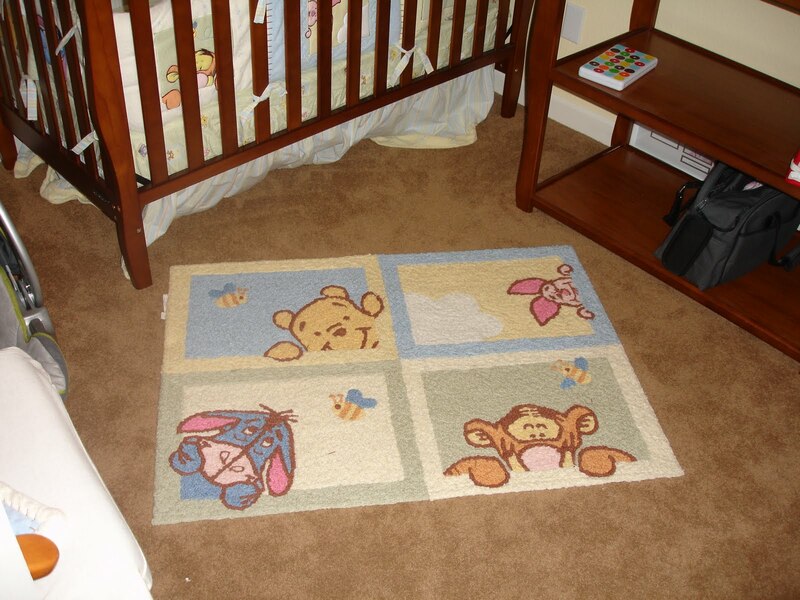 Cute rug on the floor. 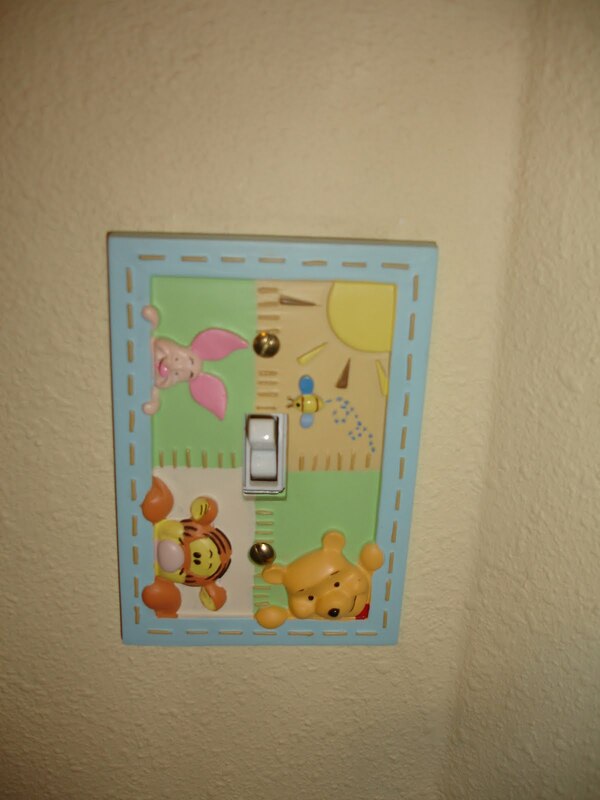 Cute switch plate. I love the little touches like this that make the room so cute. We have a matching nightlight in the room as well that I love! This is the new storage in the bathroom. 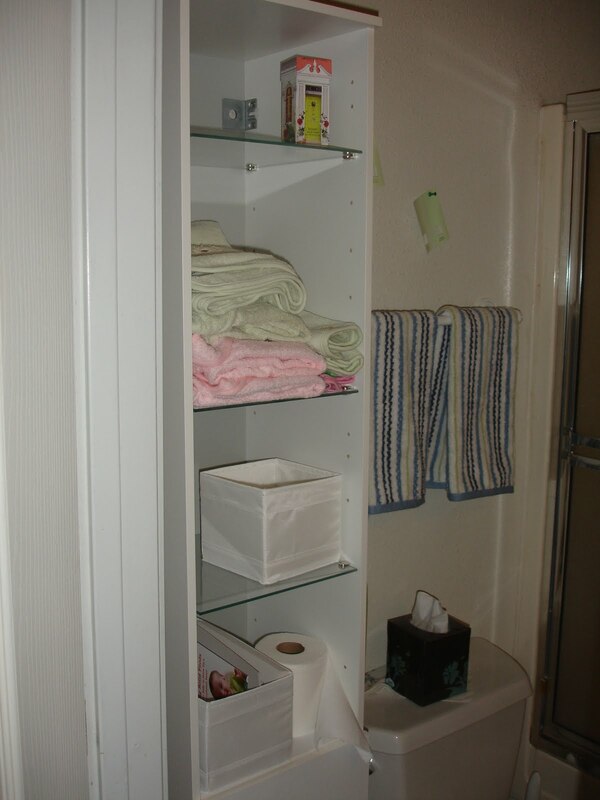 The old one was about knee height and only held a few towels…this has lots of shelves for baby stuff and I already have all the cute hooded towels and little wash cloths on their shelf and a holder with little baby grooming tools. It is hard to believe that in 93 some odd days we are going to have a baby in the house. I’m so excited!! !